Along the desert coast of Peru, there are entire clusters of pyramids. Many of these pyramids are still buried in sand, and they remain unexcavated. While the Great Pyramid in Egypt has been studied and explored for hundreds of years, the pyramids of Peru has largely been ignored until the past two decades. One of these pyramids is the Sechin pyramid and it is the largest structure of early man in the Americas. This pyramid it is carbon dated at 1500BC, which was much earlier than any one had conceived. Archeologist uncovered a frieze at this site that depicts human sacrifice. However, because of the lack of sophisticated weaponry, many historians doubt that this early civilization had the tools necessary to duplicated the savagery shown here. The Moche culture also flourished on the Peruvian coast, near what is today the town of Trujillo. There are two great Moche pyramids at this location. They are called the Pyramids of the Sun and the Moon. The Pyramid of the Sun used over 130 million adobe bricks and it rises 100 feet above the desert floor. Recent excavations at this site have uncovered new magnificent facades and friezes that depict a line of prisoners tied together with a rope awaiting there execution. They also show an anthropomorphic fox-figure holding a trophy head. At the same time, excavated Moche ceramic drinking vessels that have been discovered give us a clear picture of how these sacrifices took place. The sacrificial victim was usually a prisoner. He was first struck on the head until incapacitated, and then stripped naked and sacrificed by a priest. The officiating priest would than offer the victims blood in a cup to the highest senior priest. In 1996, an archaeologist named Steve Borget began digging at the Moche site, near an outcropping where he believed a shrine had existed. He was convinced that if human sacrifices had taken place he would find evidence at this site. Here he found the dismembered remains of over seventy individuals. After further examination, Steve Bourget discovered that many were sacrificed during great periods of heavy rains. Knowing that heavy rains can be very dangerous in this part of the world, Bourget concluded that the sacrifices were used in an attempt to control the weather. During the reign of Pachacuti Inca the sacrifice of animals and children occurred annually. This ritual of sacrifice occurred during December solstice during a complex rite called capacocha. It included the sacrifice of thousands of llamas. After the llamas were killed the priests placed their blood in tiny clay jars and had them distributed all over the Inca Empire. Also at this time, innocent children were sacrificed on mountain tops and at the major shrines of each lineage. The Inca believed that these children were going home to the stars. 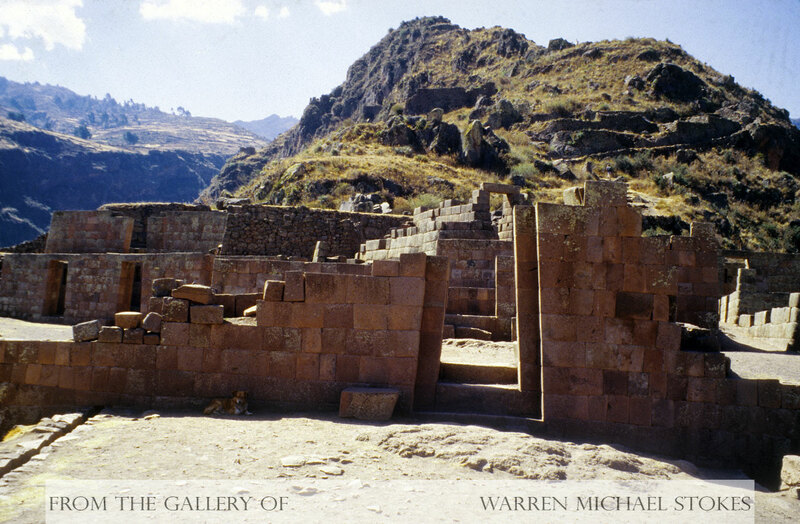 All of this was done by the aging Pachacuti Inca in an attempt to control time.